Each person has a one-of-a-kind perspective when looking to buy a home. You have a unique financial history and a different set of goals to reach than any other person looking to buy home. That is why it is important to ask mortgage questions about your individual home buying outlook. These are a few important questions to ask your lender when your are looking to buy a home. The amount of home you can afford to buy depends on two factors. First, the amount of money you have saved for the down payment, and second the amount of home loan you qualify for. Your ability to qualify, and repay the home loan comfortably on your current budget is determined by taking a look at your income and current debt ratio. Asking mortgage questions like, ”How much home can I afford?” will help you set a home buying budget. Your TexasLending.com mortgage consultant will also assist you in understanding the loan options that are best for you. At TexasLending.com we have different loan options available for potential home buyers, each with different advantages. How much should I have saved before I buy? This is an important mortgage question to ask an expert in the industry. The amount you need to save will vary depending on your down payment amount and closing costs. You should also keep in mind the cost of moving, setting up utilities, and buying appliances and furniture. Read more about making a “Down Payment Savings Plan” in this article. When should I get pre approved? We recommend getting pre approved for a home loan at least 60 to 90 days before you plan to buy a home. This allows you to have all of the financial aspects of home buying in line, so that you can focus on finding the best home for your and your family. Learn more about the “Starting with a Free Pre Approval” in this article. What is the best way to ensure my mortgage transaction goes smoothly? Besides being pre approved for a home loan before you start shopping for a home, there are a few other actions you can take to be prepared for mortgage success. Being quick to respond to requests from mortgage professionals, avoiding changes to your credit, and staying organized are a great place to start. Read more about the “Do’s and Don’ts of the Mortgage Process” here. At TexasLending.com, this is one of our favorite mortgage questions. With your pre approval in place, we can close your home loan quickly once you have an accepted home purchase contract. We aim to make our side of the transaction as quick and easy as possible for you. There are other factors that can delay closing when buying a home that aren’t within our control. Making repairs to the home, delays from the seller, or special requirements from the appraisal or title companies. Read more about “How Long it Takes to Close on a Home” in this article. Can you connect me to a Realtor? 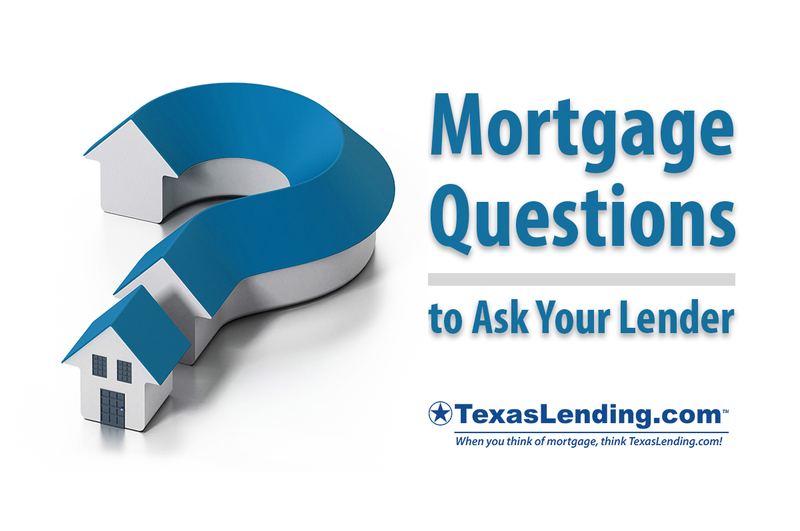 Asking this mortgage question, can help you earn CASH BACK after closing with TexasLending.com. Utilizing our Realtor Connect program is a great way to get connected to a quality real estate professional in your area. Read more about “Choosing a Realtor & Getting Cash Back” in this article. We are ready to help you answer your mortgage questions. Reach out to us today to get connected to a mortgage consultant at TexasLending.com.